Remember that extinguishers have limits, they are not for large fires because most last for less than 30 seconds. That being said, when used properly a portable extinguisher can save lives and property by knocking down a small fire or containing one until the fire department arrives. 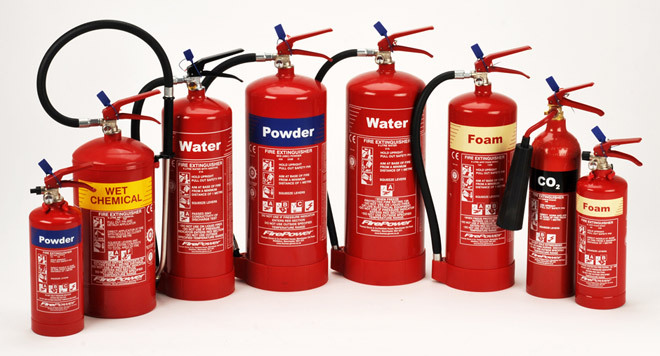 Portable extinguishers should be installed in plain view. Near an escape route, away from any heating appliances, and above the reach of children. It is very important to maintain your extinguisher because you want to know that it will work if the time comes that you may need to use it. Follow the manufacturer’s instructions for maintenance. Remember to always use the manufacturer’s instructions when using a fire extinguisher. 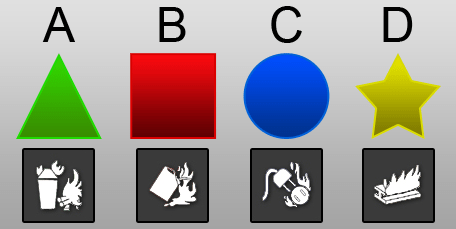 Each class also has it’s own picture displayed right on the extinguisher, that way you know which types of fires that extinguisher is best used for. Fore more information on Fire Extinguishers please visit NFPA.org’s Fire Extinguishers Section.